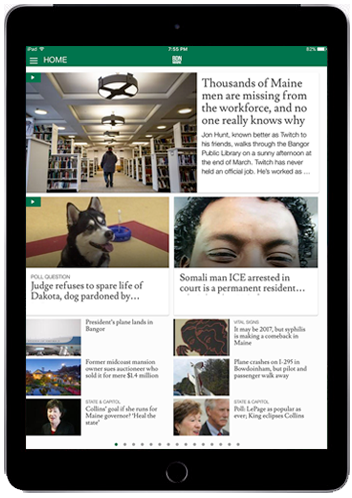 To provide you with the Maine news you need, when and how you want it, we continue to improve our mobile service. With a new, beautiful user interface, the 2017 release of the BDN app is much faster and easier to navigate. With updates every 3 minutes, we bring you the latest news, politics, sports, living, outdoors, business, and obituaries. See below for more information. Advertising positions are available on all of our apps. Contact us today to find out what we can offer you.